The study examines a significant and extensive corpus of late medieval historical songs and poems from the 14th century to the Reformation at present consigned to the research limbo of an ill-defined area somewhere between German studies, public communication studies, and history and referred to over the last 150 years under the misleading heading 'historical folk songs'. 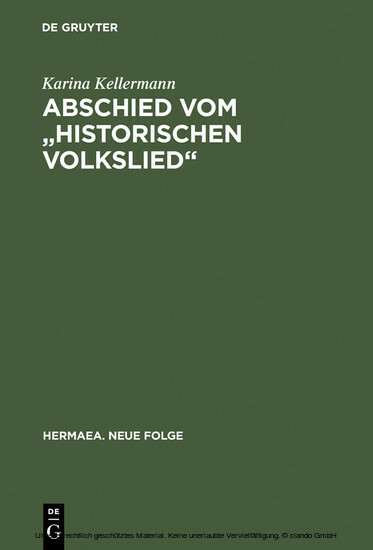 After a detailed reexamination of these texts and the way they relate to specific events in history, evidence is adduced to demonstrate that we are in the presence of a genre in its own right, characterized by purpose-guided aesthetic principles, specific functions, and a high degree of public impact. It is the genre of historisch-politische Ereignisdichtung (literally: historico-political event literature).